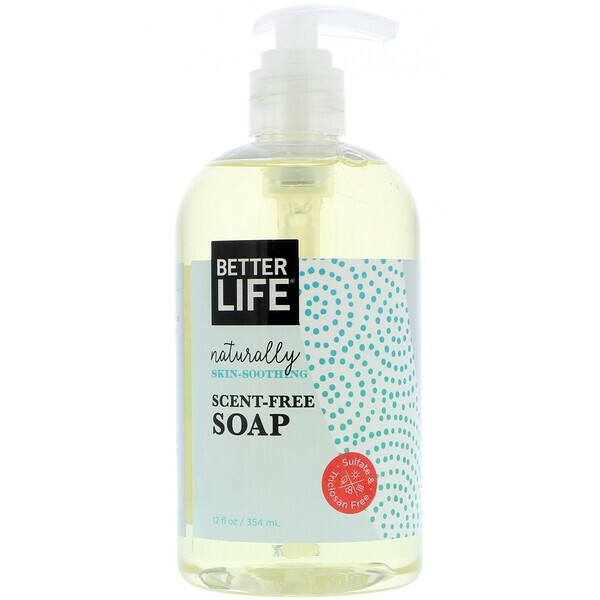 Better Life's natural, sulfate-free soap with aloe and vitamin E gently cleanses and nourishes skin. Formulated to protect skin and the planet, our hypoallergenic soap is biodegradable, kind to waterways, and safe for marine life, so you can feel good inside and out. With every spray, pour, and pump, Better Life proves that the world's most powerful products can be safe for kids, pets, and the planet. 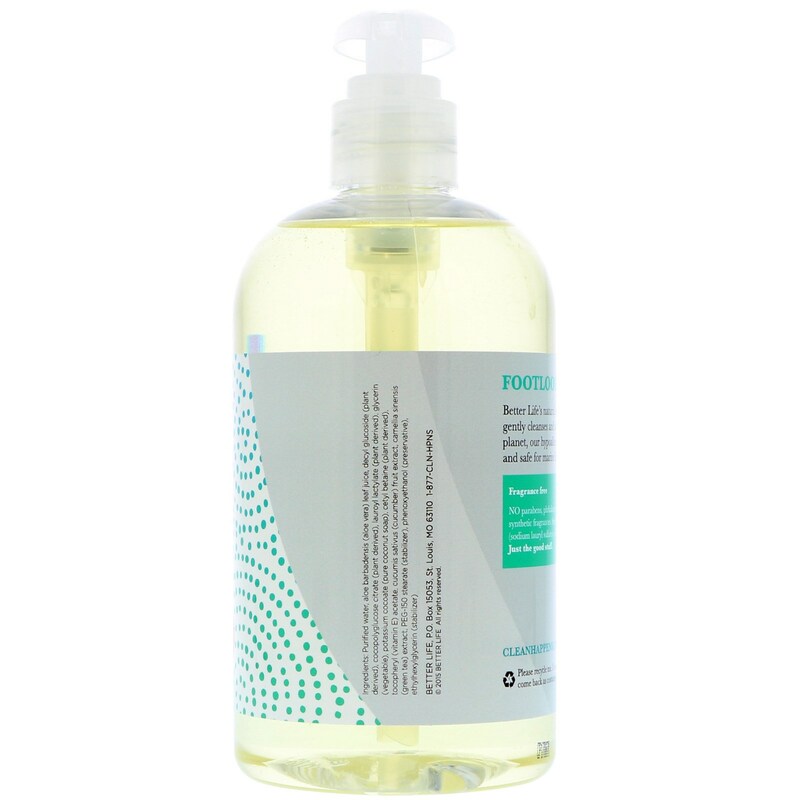 Use as a hand wash, face wash, body wash, soothing shower gel, or gentle shampoo. Purified water, aloe barbadensis (aloe vera) leaf juice, decyl glucoside (plant derived), cocopolyglucose citrate (plant derived), lauroyl lactylate (plant derived), glycerin (vegetable), potassium cocoate (pure coconut soap), cetyl betaine (plant derived), tocopheryl (vitamin E) acetate, cucumis sativus (cucumber) fruit extract, camellia sinesis (green tea) extract, peg-150 stearate (stabilizer), phenoxyethanol (preservative), ethylhexyglycerin (stabilizer). 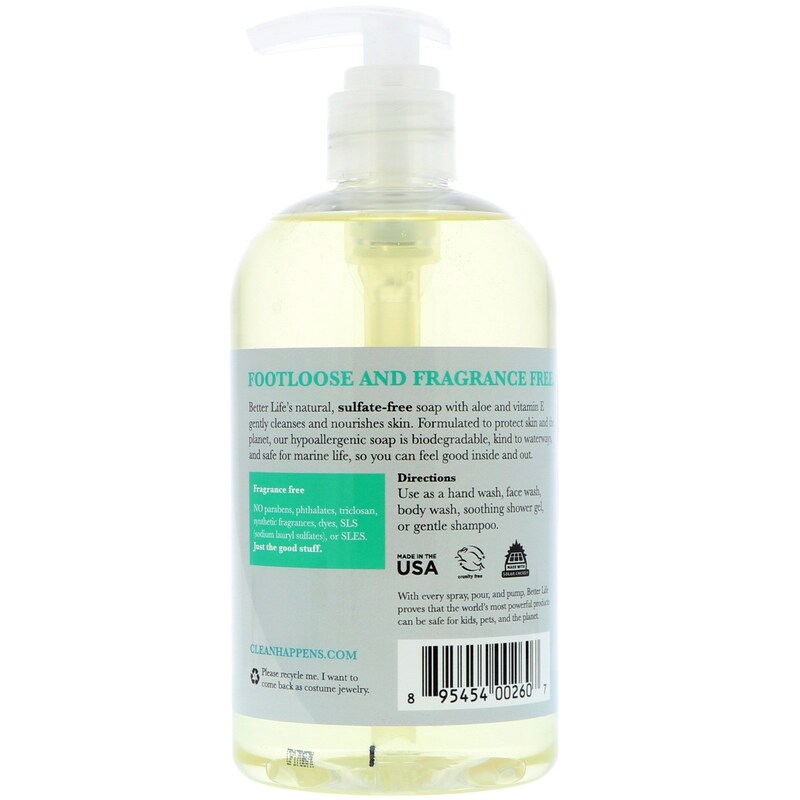 No parabens, phthalates, triclosan, sythetic fragrances, dyes, SLS (sodium lauryl sulfates), or SLES. Just the good stuff.